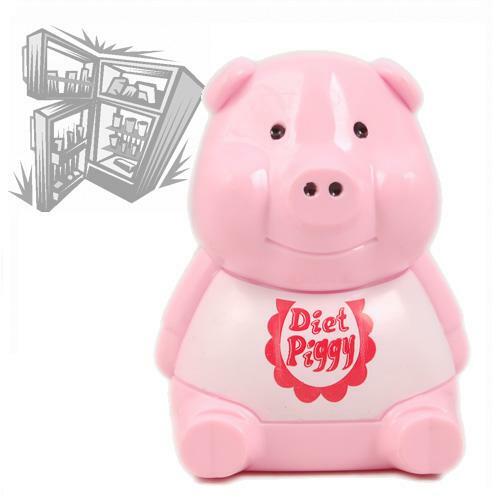 The piggy that prevents you from pigging out! Are you trying to lose a few pounds this year? Or maybe just cut down on the snacks? Do you often find yourself in the kitchen having a look in the fridge or the cupboards for a snack? The best way to stay out of the kitchen is to keep yourself busy. 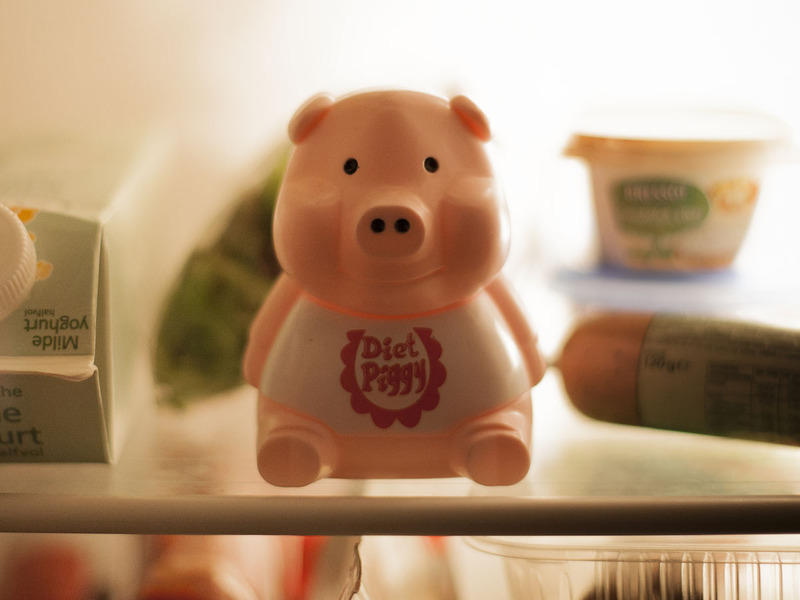 Get a loyal friend on board to help you shift those pounds: The Diet Piggy. Put it in the fridge or somewhere else you keep your sweet treats. Whenever you open the door he will greet you with a loud "OINK OINK". This sound will remind you that you start to resemble a pig if you have this piece of French cheese from the fridge. A simple, yet effective way to ruin your appetite. 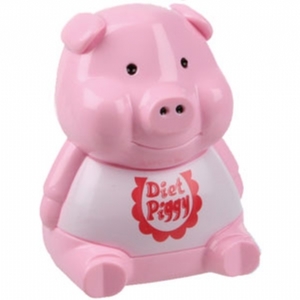 The Diet Piggy is operated by a light sensor. This means that it will make a noise when you open the fridge and stop making the noise when you close it again. Right what I was expecting for!!! There is a loud product. :) It was a gift and I'm satisfied.